It can be tough to look at games with microtransactions. On the one hand you get a free game, which you can play at your leisure, because spending real money is optional. On the other hand though, many of these games keep content away from you, locking items and upgrades behind ridiculously lengthy grinds to encourage the use of real world money. Granted developers want a return on their creative endeavours, and they’re entitled to that, but when it feels like progress is hampered because of these transactions, it feels unfair. 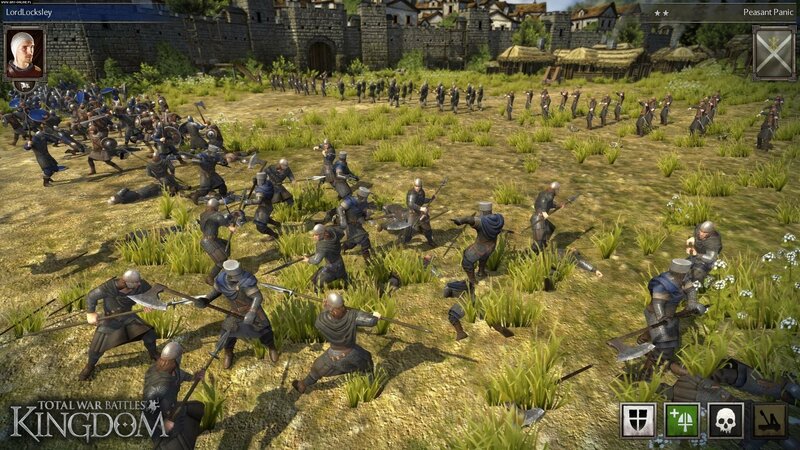 Total War Battles: Kingdom is SEGA’s foray into the world of Clash of Clans territory. You have a small kingdom to rule over, and you have to cultivate resources, build up your army and wage small scale battles to earn more resources and experience to get more goods. This core loop is actually quite nice, as you’ll log in to check your timers, maybe collect a few resources, build some bridges (figuratively and literally) and possibly indulge in a spot of fighting. The titular battles themselves are small scale RTS encounters. Your army is made up of rows of three (amount of rows dependant on how far you’ve actually progressed), and these march on and fight rows of an opposing faction. There’s a rock/paper/scissors element to the combat, and before taking on computer opponents you can see their line up to make sure that you are outfitted to handle their threats. Cavalry will make short work of swordsmen, but will fall to spearmen, while swordsmen will waste those polearm wielders, but get trampled by Cavalry. Making sure you’re set up to handle these threats is paramount to winning. If you’ve planned badly you can always shift your units around before the battle starts, as your opponent will surely do the same––reacting to this promptly can turn the tide of battle. 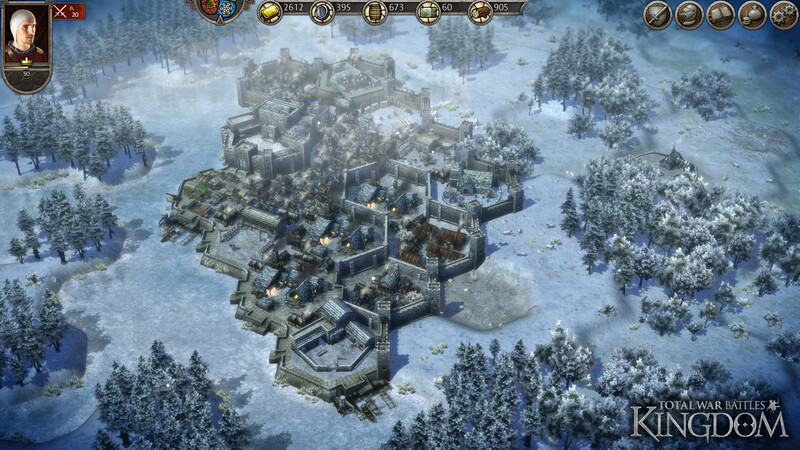 Winning battles, gathering resources and building a populace increases your ‘Lord level’ which in turn unlocks more buildings, resource types or units; everything can be upgraded to improve these further. Unit housing like barracks, archery ranges, stables or the knight’s manor can only house one type of unit for that class, meaning that if you want more of a specific type, or a different unit of that type then you need to create a new building to house them. It’s here that the grind sets in. You can buy better units with gold, which is drip fed to you, making purchasing these units difficult. That is until you notice that you can ‘craft’ them when your lord level reaches twenty-one. It doesn’t take that long to get there, but the excitement is short-lived because the resource costs for these are too high. Crafting units, armour and weapons sounds great but when the resource costs are unreasonably high it makes the grind unpalatable. This wouldn’t seem so bad, but some of the tougher AI fights need better units for the battle––without them, defeat is a certainty. Levelling those units up with experience points only gets you so far and the cost to pay for them outright is way too high, so don’t expect to get much progress for your money. There are some dodgy elements to the landscaping mechanics and quarries too, because raising or lowering land requires surrounding areas to be of a certain level before you can adjust. You’ll often find yourself wanting to adjust something only to be hamstrung by what’s around it. It’ll tell you that the surroundings are too high or too low, but you won’t be able to adjust them because it’s either water, or you have buildings there; especially annoying when you’re trying to plot flood defences. 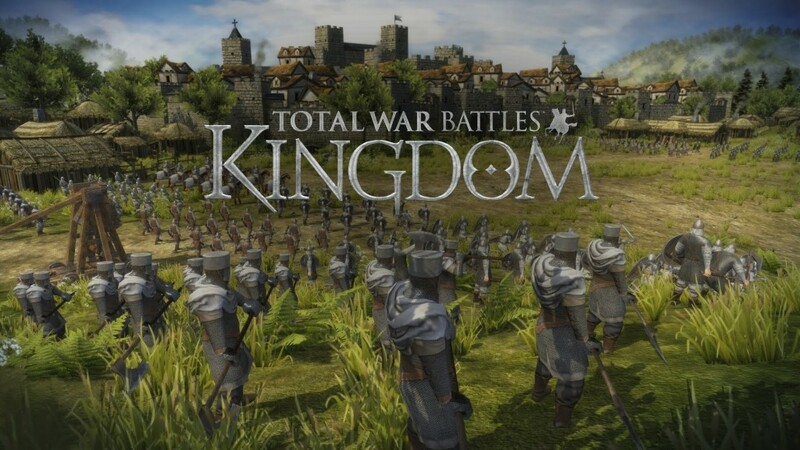 Total War Battles: KINGDOM is decent though. I was able to play across iOS, Android and PC with my account syncing perfectly on each version. Load times aren’t that bad, and the graphics engine has been tuned nicely to accommodate the strengths and weaknesses of all the platforms. It’s hard to overlook the overly grindy nature that is designed to push you towards buying gold though. If the gold costs for units were lower and the value of gold per pound considerably higher it might have been possible to overlook but it tarnishes an otherwise decent RTS-lite game. It’s worth a look, but make sure you keep a good grip on those purse strings. Extensive testing was also done on the PC and Android versions of the game. Although a decent stab at a social RTS, it's let down by harsh grinding requirements used to encourage microtransactions.